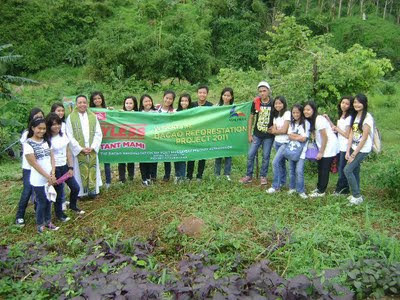 Photos courtesy of Johnven Nito Cruz & Colline Granil. Thank you! 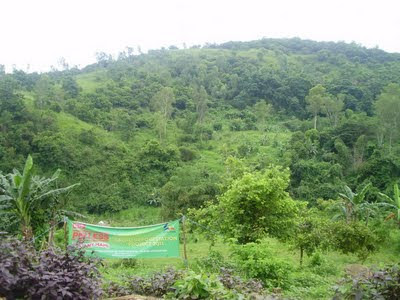 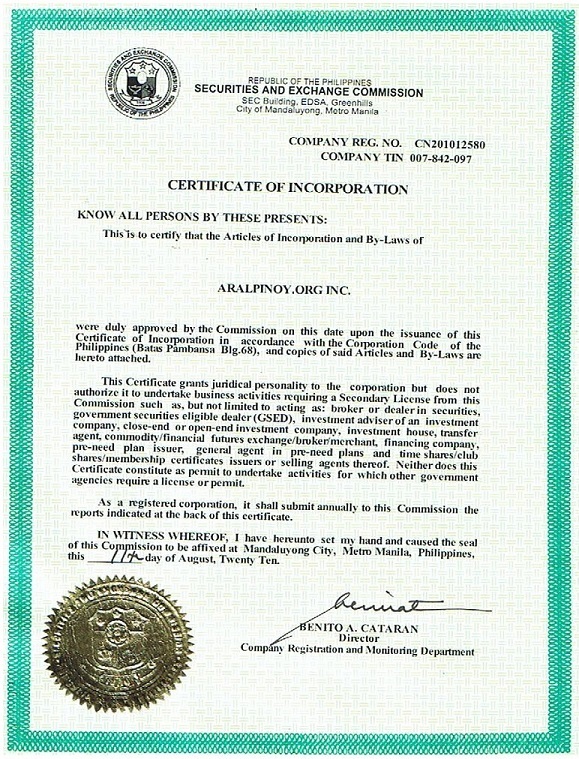 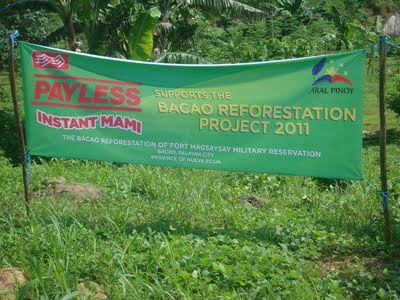 “Inang Kalikasan, Inang Pagkalinga” Aral Pinoy Ecology Project is focused on Aral Pinoy: The Bacao Reforestation Project 2011 (The Bacao Reforestation of Fort Magsaysay Military Reservation, Bacao, Palayan City, Province of Nueva Ecija). 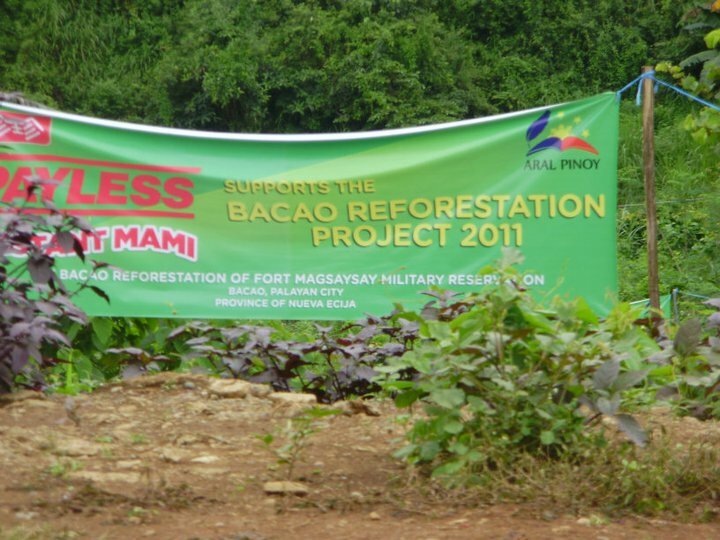 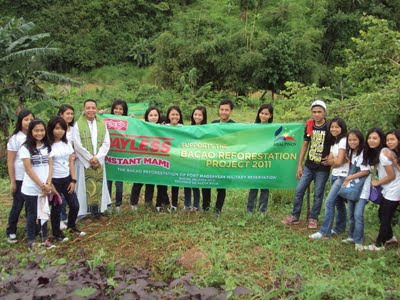 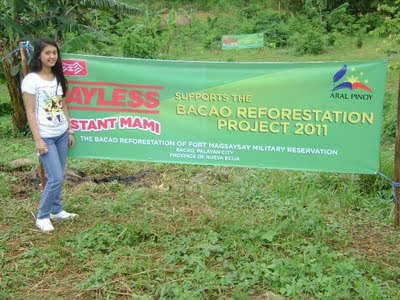 Out of our persistence and determination to be of help, we asked help from URC, and we never run out of generous people, URC-Payless Instant Mami supports Bacao Reforestation Project 2011 by providing our Aetas community one year food supply. 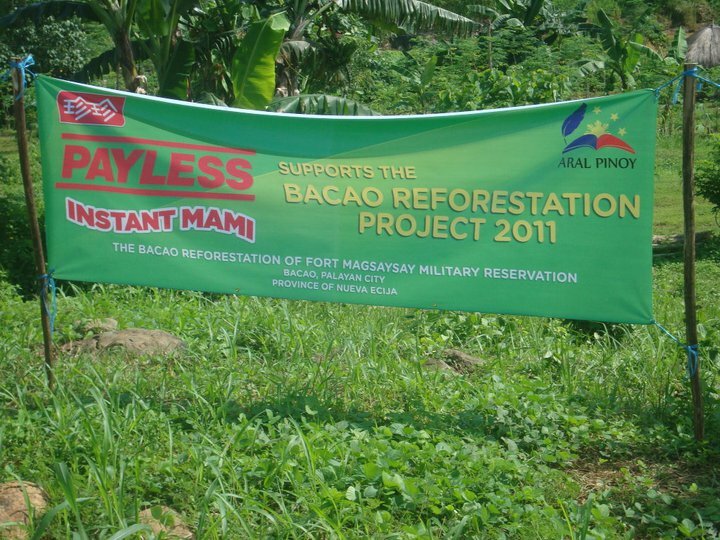 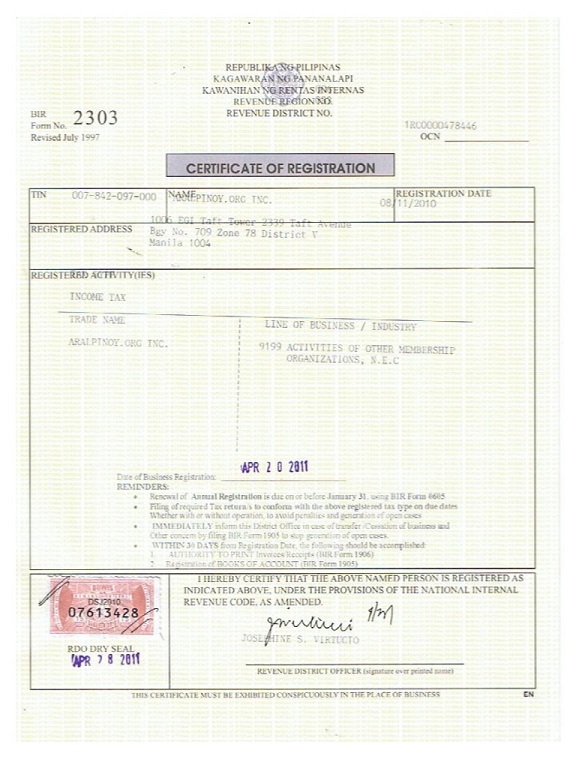 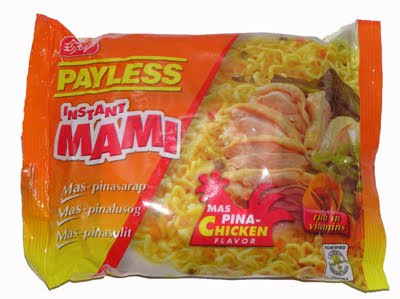 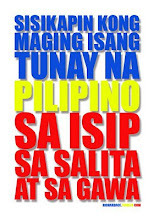 The first 55 cases/boxes of the instant mami were delivered last July 23, 2011.